The public has a long history of demanding its government operate in full sunlight. That's the reason you can usually walk into any local government meeting and watch without harassment. It's in this spirit that we're seeking more transparency from the Mason City School Board. In its handling of the state's audit into its finances -- particularly the improper disbursements totaling $2.2 million -- the board has shown a decided reluctance to share information. An editorial by the Globe Gazette in mid-2016, written after the board -- in a 3-minute meeting -- unanimously voted to part ways with then-Superintendent Anita Micich, blasted members for holding a number of closed door sessions and then failing entirely after the fact to shed any light on why the board wanted Micich gone. A public information request from the Globe Gazette for the emails of board and district leadership brought the issue into the light. That same request also unearthed for the first time what would ultimately become the improper payout of the $2.2 million. Fast forward to the board's April 1 meeting when, according to its agenda, it planned to discuss the results of the state audit that fully uncovered the extent of the financial record-keeping misdeeds. It spent some time discussing the need to reimburse Clear Lake School District, which had not been fully reimbursed for the overpayment it made to Mason City for Micich's work as its part-time superintendent. The amount it voted on was about $6,000. It spent time discussing the underpayment the audit discovered of eight district employees. That vote was on $24,182.99. Finally, there was discussion of paying back the state for the cost of the in-depth audit that found all the discrepancies. That vote covered $19,985.87. But when board member Scott Warren inquired about the board's intention with regard to the $2.2 million, he was essentially brushed off -- told it would be addressed at a "later date." That's a lot of taxpayer money to put off determining whether to recoup. 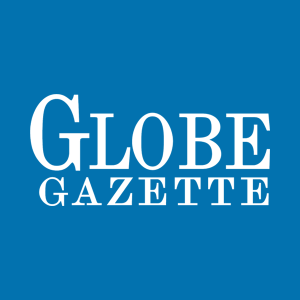 Additional pressing by the Globe Gazette after the board meeting yielded that there is no time frame for that discussion, according to Superintendent Dave Versteeg. Versteeg added that the "improper disbursements" weren't overpayments to employees, but rather improper procedures by the district. It appears Versteeg is suggesting that the money belongs in the pockets of those employees but that the district didn't use the appropriate process to put it there. To be fair, there is an ongoing criminal investigation into the disbursements -- a point that was raised by board member Jacob Schweitzer at the April 1 meeting. Generally, it would be prudent to wait for the conclusion of such an investigation to make further financial decisions on matters related to it. But that's not the message the public was given on April 1. In fact, it seems there really wasn't a message offered at all. And the $2.2 million is still gone. The importance of a commitment to transparency is not rooted in some sort of salacious desire for inside information or to gain fodder for personal attacks. It's to prevent the encroachment of government on the rights of the people. One of those rights is to know how the government spends our money. A December 2018 special investigation by the Iowa State Auditor's office found that $2.2 million in "improper disbursements" was given to Mason City School District officials between 2009 and 2017. The district has since taken steps to correct the issues that lead to the disbursements but the matter is still being investigated. Former Superintendent Anita Micich is listed in the audit as having received $473,978.74 in improper disbursements. Former school administrator T.J. Jumper is listed as having $150,185.41 in improper disbursements. Former CFO Ramona Jeffrey is listed as having $127,341.80 in improper disbursements. Former CFO John Berg is listed as having $72,218.65 in improper disbursements. Groundskeeper Randy Meyer is listed as having $117,290.12 in improper disbursements. Assistant Superintendent of Administrative Services Hal Minear is listed as having $116,188.92 in improper disbursements. a lot of free press time on a subject that could of been in house . 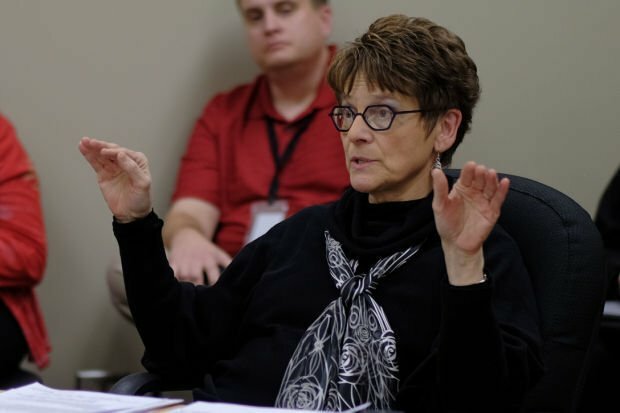 The MCCSD School Boards, of recent past and present, have demonstrated steady, patient and transparent leadership and should be applauded rather than being rebuked in the wake of State Auditor findings. The headlines all over the State of Iowa and indeed Midwest Region on have been the source of vitriol towards MCCSD previous and current leadership. "State audit finds Mason City Schools improperly spent more than $2.2 million"
This headline delivers a gut punch to Mason City citizens and no wonder. That is the exact intention of such a headline coming forth from the so-called "Free Press" to deliver a sensationalized juicy tidbit inciting doubt about fiduciary fidelity. The audit findings and the District's ongoing implementation of additional internal controls and best practices should cause a rise of confidence, not a lack thereof. We should all go shake the hands of the MCCSD leadership. I know my way around an audit report. During the 2016-2018 post-Micich period The MCCSD Board began implementing remedies to discovered financial concern areas. Well-planned and systematic evaluation processes began to identify best practices. 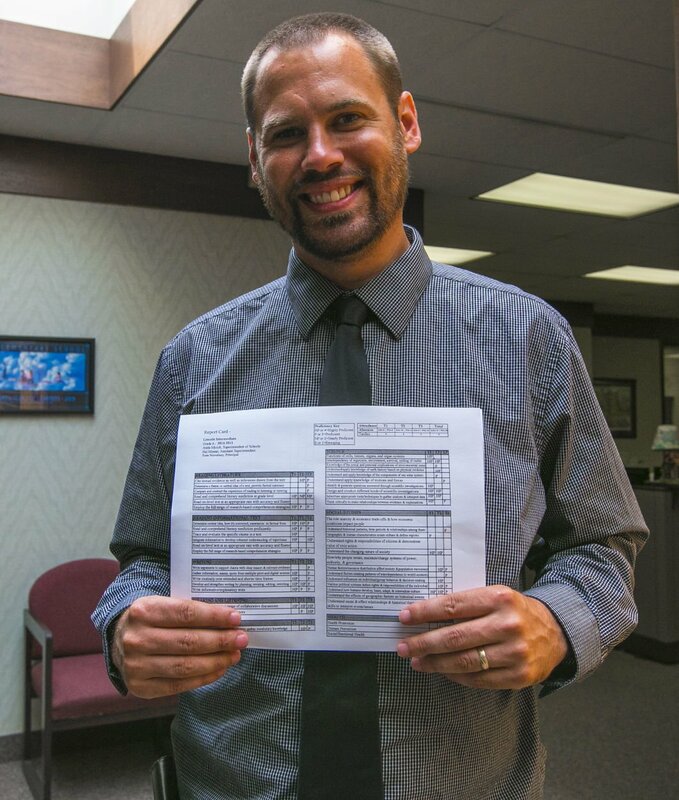 I, without hesitation, can tell you that I am convinced the leadership of the School Board members, Superintendent Versteeg, and current staff finance professionals, have implemented internal control procedures exceeding minimum necessary levels, and continue to do so. The National Enquirer standard cannot be your measure of news.